their body is their HEART. We are dedicated to leading an uncompromisingly direct conversation about media misrepresentation, resiliency, and loving-kindness. Join us in re-awakening a connected sisterhood and catalyzing well-being and interactional leadership in our age of amped up social media. The same culture that places girls at a disadvantage in the journey to becoming leaders of a better world early on teaches boys to stop crying and start manning up. We offer a transformative presentation series that invites youth to question the socioeconomic underpinnings of how they are falsely represented, inspiring them to reinvent inclusive beauty notions that celebrate their common humanity. Recognizing that the most important moment of our lives is now, we, as agents of social and personal transformation, together reconsider the value of self worth, empathy, and mindfulness. IMAGINE every girl in your school in the gym. We set HEARTS FREE from looks-based competition. A journey to the POWER of CONNECTION. Young women are rising. Everywhere. In the United States, a group of high school girls in Maryland challenged their administration to put a stop to a culture of harassment after discovering that boys were ranking their bodies (the girls were later invited onto the Today Show). In North Carolina, young women at Charter Day School enlisted the assistance of the ACLU to challenge the school's mandatory skirt policy for girls—and won. In New Zealand, 38-year-old Prime Minister Jacinda Ardern responded to the Muslim massacre with calm, compassion, and immediate gun-control reform while issuing a call for unity. And in Europe, a movement of teen girls has joined 16-year-old climate striker and Nobel Peace Prize-nominee Greta Thunberg to demand action on climate for future generations—and ignited student protests in 105 countries around the world. Our planet may be burning but so are the young women who are ready for, and enacting, real change. Here’s to all those transmuting their “white hot flame” of outrage into leadership—a leadership born out of love, the bravery to speak truth to power, and a mindful girl’s theory of change. We have always been more than the sum of our parts; now we are the sum of our voices. We support the advocacy movements that reflect our intersecting and multiple identities. 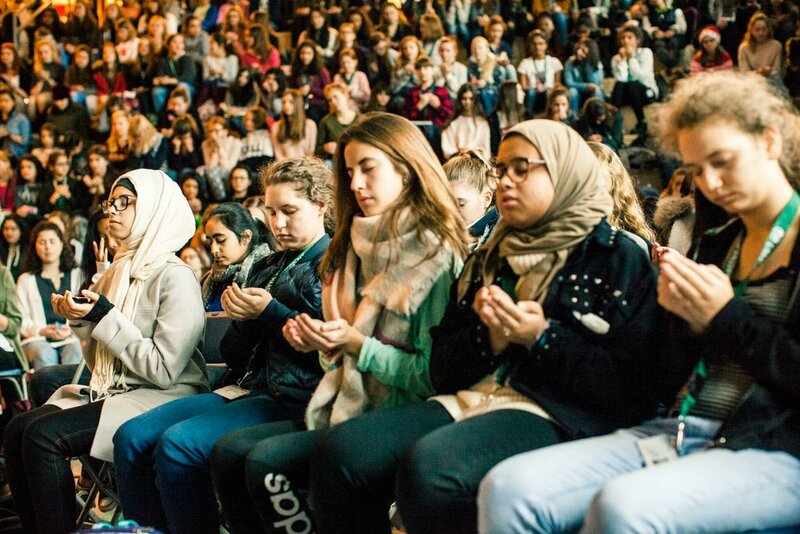 Alongside our gatherings of girls and female-identified students, we seek to unify our communities, grounded in relationships with LGBTQ groups and those from diverse backgrounds to uplift and expand gender norms, expectations and stereotypes. Bringing the Sisterhood to Social! Let’s talk about all the ways that people can connect with Love the Skin You’re in here. Let’s be clear: THIS is what the kind of BEAUTY that MATTERS looks like! I am overwhelmed by all of your young women-led worldwide marches for March 15th!!! I'm going to wing this and go first person. This work was born out of my high school battle with an eating disorder. I ached so much during that time that I wanted to light the way forth for other young women; and in a culture that provides endless fodder for demystifying harmful representations of women, I cannot see the end of this labour of love in sight! 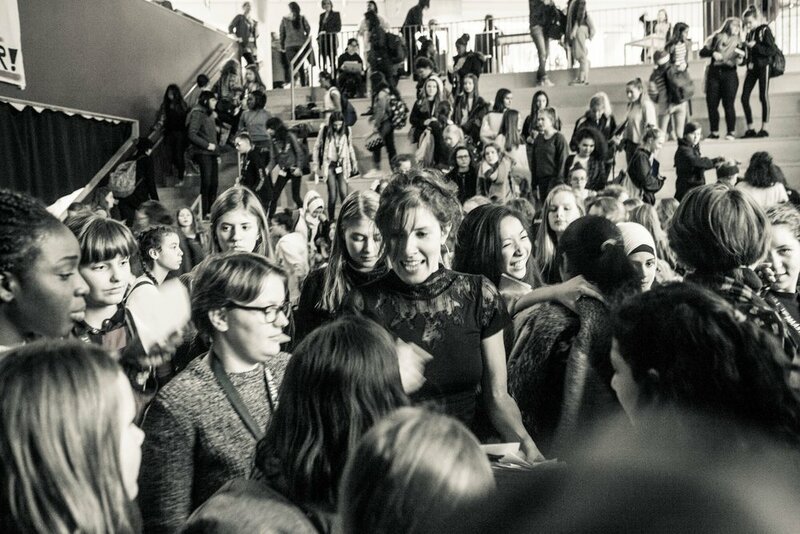 I've travelled the world, filling my cup by speaking to over 100 000 teen girls worldwide with my multi-media event Love the Skin You’re In. Some of the highlights have included being on stage at Bay Area TEDx, a 2018 European Tour and a National Youth Week Tour across New Zealand. I have a fire in my belly to inspire young women to find compassion within themselves, and to resist the looks-based competition that floods their Instagram feeds. In solidarity and sisterhood, I believe we can gather our hearts together to lead a new conversation about our bodies and beings. I'm Canadian-born, McGill University-educated, the author of Freedom to Blossom, and I live between Muskoka, Ontario, Canada and Oakland, California. It has been the greatest privilege of my life to stand in raw vulnerability before 500 girls at a time and share my insight.